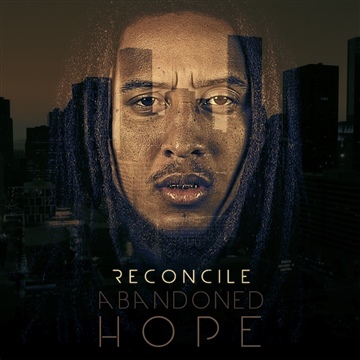 Ronnie Lillard aka reconcile was born and raised in ft. Myers, Florida. An area where a football scholarship is deemed a one-way ticket to a better life. Reconcile grew up in a working-class, single parent home with a lot of tough love. Rec states, “I’ll never forget the conversation me and my pops had when I was about in the 8th grade. He said ‘you’re never gonna be nothing if you don’t get a football scholarship.’ from that day, that became my highest priority. I would jump fences to run sprints on the dimly lit high school field, stay late nights at the boys and girls club and stay after school in attempt to better my grades, I wanted out!” Wanted out because home, for reconcile, was unbearable. “My father was broken from a divorce that devastated the little finances he had and left his heart shattered. We got into a lot of fistfights, ultimately ending with me being kicked out in the middle of the night. It was a low point for me because I felt like I had nowhere to go.” In high school reconcile lived off and on with his grandmother, friends, and his girlfriend in a housing project in ft. Myers. After a string of bad-decisions, reconcile had to face the consequences; handcuffs, courtrooms and probation. It was then he met David Astrada, a youth pastor who not only helped him while on probation but also poured his time and the love of Christ into him. Later reconcile was awarded a full football scholarship to rice university. Here he became heavily involved in campus ministry and met his present mentor, P.T. Ngwolo. “When I first got to college my nose was wide open. I wanted to be a Christian but I also wanted to enjoy college and since I was getting playing time on TV as a freshman I thought I was the man. Then I met P.T. until I had met him, I didn’t have a full understanding of the gospel and it’s implications on my life. I knew that Jesus loved me and died for me, but that was it. I wanted Jesus the savior but wasn’t ready to make him lord over my life. I didn’t understand why I kept diving into sin. I didn’t understand that I didn’t have the power to change myself and that I desperately needed Jesus for every step of the new life he had given me. As I began seeking a real relationship with the lord, my life started to change and the value of everything else in my life began to decrease as my yearning and passion to know and love Jesus intimately began to increase.” Reconcile’s growing relationship with Jesus began to overflow in every aspect of his life. “the gospel put my entire life into perspective, I wanted to go and tell people about the one who redeemed me and keeps me daily, I wanted to share this hope with those who are from trailer parks, boys and girl’s clubs and troubled homes just like I was; to tell them that Jesus can save them too.” Music became a tool to express this love, and the story continues today… Reconcile, now 24 years old holds a bachelor of arts in religious studies, philosophy, and sociology from Rice University. He is currently pursuing a masters in Christian counseling. Reconcile is a husband and father. He and his family live in inner city Houston where he and his wife serve the lord by serving their community and their church (resurrectionhouston.org) mentoring young adults and youth in various low-income areas.